Before becoming a professor of physics at the University of Nevada Reno (UNR), Dr. Friedwardt Winterberg published a paper in 1955 that proposed a direct test to investigate one of the most important theories of modern physics: general relativity. The test consisted of using accurate atomic clocks placed in orbit in artificial satellites to show that the time on the clocks orbiting at high velocity was slowed down relative to earth based atomic clocks. At this time, atomic clocks were not yet of the necessary accuracy and man-made satellites did not exist (although Sputnik would be launched only two years later by the Soviet Union). Winterberg’s idea was later experimentally verified by Hafele and Keating in 1971 by flying atomic clocks on commercial jets. Today, atomic clocks and relativistic corrections are fundamental in the Global Positioning System. Fast-forward to the 21st century, and we now have the capabilities for high precision GPS, which enables studies of earthquakes, volcanoes, landslides, glaciers, plate tectonics, and much more at millimeter-level precision. 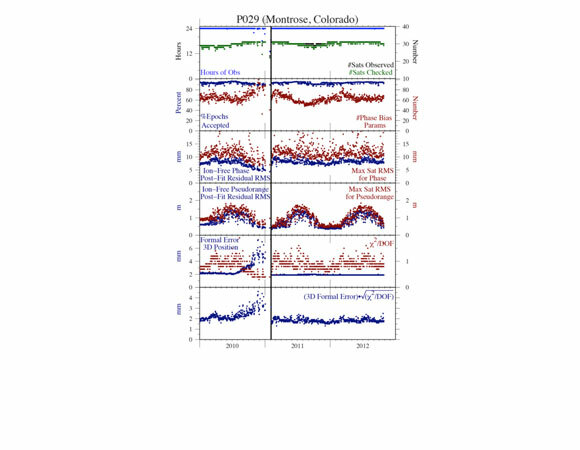 However, this high precision application of GPS is possible only through sophisticated processing of GPS observations that include accounting for relativistic time corrections. Researchers who are interested in analyzing GPS data for long-term tectonic or environmental signals face certain challenges due to variable data quality; the equipment may have degraded or there may be inherent characteristics of the receiver site that can affect the data quality. This is where the researchers in Reno, almost 6 decades after Winterberg published his paper, enter the scene: Geoff Blewitt and Corne Kreemer of UNR’s Geodetic Laboratory have devised a new processing-based technique for evaluating site quality on an ongoing basis. The release of the products of this new technique will make quality assessment parameters for roughly 11,000 GPS stations easily accessible to everyone. Figure 1. 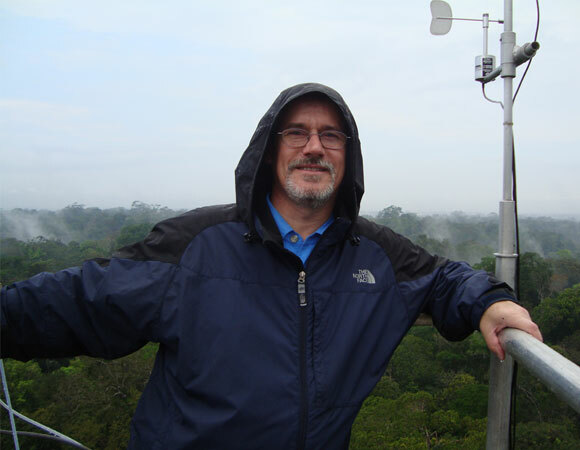 Geoff Blewitt at a scientific station above the Amazon rainforest canopy. Geoff teaches general relativity in GPS with a class called "The Physics and Engineering of GPS." Photo courtesy G. Blewitt. Figure 2. Quality parameters for station P029. The antenna failed in 2010 and was replaced in 2011. Figure credit Blewitt, et al. Figure 3. The scaled formal error for all stations in the QA network. The scaled formal error is given by 3D formal error divided by the square root of the Χ²/DOF. Figure credit Blewitt, et al..
UNR’s Geodetic Lab has an ongoing project to compute these quality assessment parameters from for approximately 11,000 GPS stations around the world. Daily data files for each site are processed independently using GIPSY OASIS II software from the Jet Propulsion Laboratory (JPL) which employs Precise Point Positioning (PPP) with ambiguity resolution using the WLPB method. Final orbits and clock products are from the JPL IGS Analysis Center. 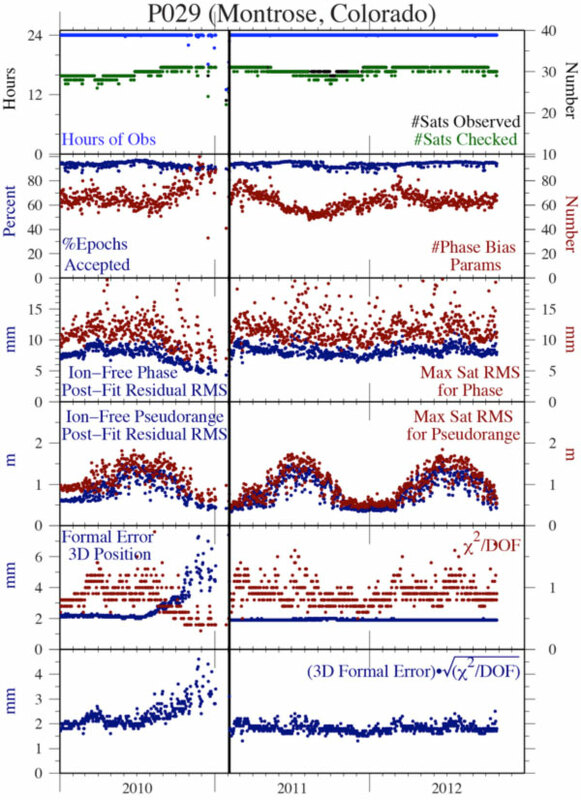 Cycle-slips are detected and repaired and then ionosphere-free phase data are formed and decimated to 5 minute intervals (along with carrier-smoothed ionosphere-free pseudorange) for PPP processing. This new QA process provides a unique tool for GPS station quality monitoring; UNR’s system makes these quality assessment parameters accessible to everyone. 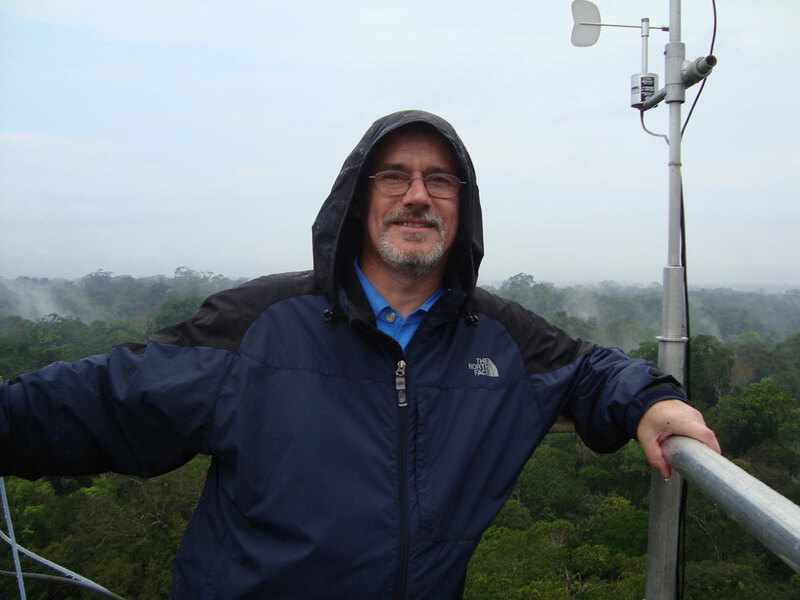 This in turn enhances the potential for data utilization around the world and increases certainty within the science community. These products are available through the UNAVCO Archive and are updated weekly. 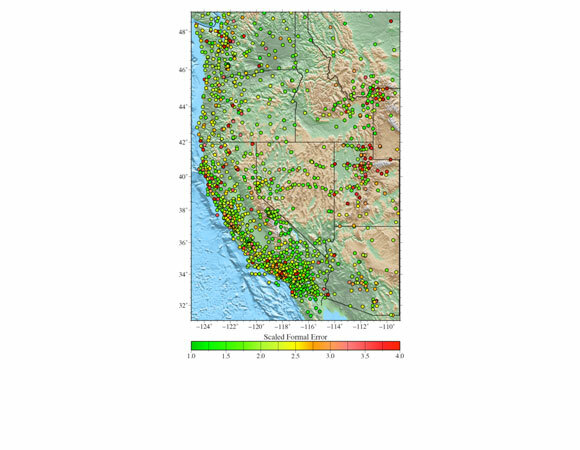 QA was developed with funding from NASA to UNR and UNAVCO as part of the ROSES ACCESS project Discovery and Delivery of Space Geodetic Data Products from Distributed Archives, with additional partners UCSD SOPAC and NASA CDDIS.